Pelham Community Spirit, Inc. (PCS), a non-profit organization fostering community involvement in Pelham, announces their 2nd annual Southern New Hampshire FESTIVAL OF TREES in Sherburne Hall at the Municipal Building Complex. Last year's event was deemed a huge success by Mark Jedreszak, president of PCS. "We had wonderful community support both in the donation of Trees and in attendance of the event," said Mark. "We hope to have more trees this year to draw more people." Over 1,000 people came to see the display of 40 decorated trees in Sherburne Hall. People purchased raffle tickets that were placed in recepticles by each tree in hopes of winning that tree. Prize ribbons were awarded to trees based on originality, creativity and most beautiful. The most beautiful tree was donated by Country Brook Farms from Hudson, NH. "It happened to be the first tree people saw when they entered the Hall. Everyone commented on how pretty it looked," said Charlene Takesian, member of Pelham Community Spirit. Other trees included $100 cash, scratch tickets, video games and even a moving train. The highlight of the event was a wedding. Bob and Tammy Kohler tied the knot among the trees. Tammy approached PCS with the request. "Our first date was at Methuen's Festival of Trees and I thought it would be nice to be married surrounded by them," said Tammy. Over nine non-profit groups participated in the event by holding bake sales in the lobby of the Town Hall. "We wanted to include as many Pelham non-profit groups as we could to share in the proceeds. That's part of our mission. We want everyone to be able to have an opportunity to raise funds for their own needs," said Takesian. "This year we hope to be able to offer a college scholarship as well as donate to the Pelham Food Pantry and the Good-Neighbor Fund and maybe continue with the effort to improve Sherburne Hall." Pelham Community Spirit was able to purchase a new stage curtain for Sherburne Hall, helped the Pelham Ice Garden and also the St. Pat's eighth grade class with their fundraiser from the proceeds last year. The Festival this year will run from November 26 through December 4. Information and applications to enter a tree are available on their website snhfestivaloftrees.pelhamcommunityspirit.org. Businesses are also invited to advertise in a Program Book that will be distributed throughout the Town. 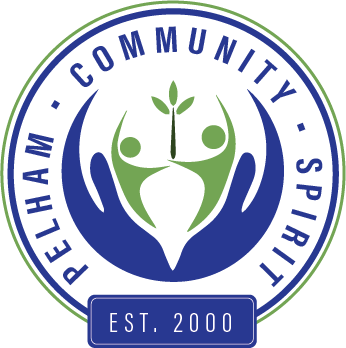 Pelham Community Spirit also sponsors the Independence Day Celebration and the Summer Concert series in Pelham. They meet on the third Thursday of each month at 7pm in the VFW Hall on Main St. Anyone is welcome to attend and join the group in planning these events.